Binder containing 519 slides/transparencies (35mm) of entertainers, celebrities, singers and sports stars (mostly multiples of each subject) from the 1970s and early 1980s, made by noted celebrity photographer Richard Bocklet. Images are candids made at Academy Awards nights, Emmys, movie premieres, openings, parties, dance galas and other social gatherings. 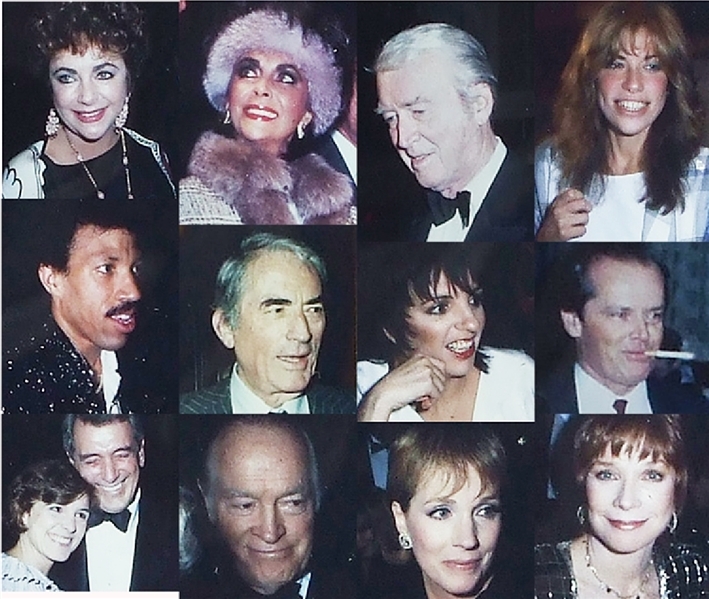 Images include: Liz Taylor (more than 100 slides alone and with other people), Jimmy Stewart, Julie Andrews, Kevin Bacon, Susan Lucci, Morgan Fairchild, Rock Hudson (posed with several actresses), Mia Farrow, Kurt Russell and Goldie Hahn, Bob Hope, Susan St. James, Julio Iglesias, Shirley Maclaine, Jack Nicholson, Kelly McGuinness, Gregory Peck, Liza Minnelli, Anthony Quinn, Lionel Richie, Carly Simon, Rod Stewart.